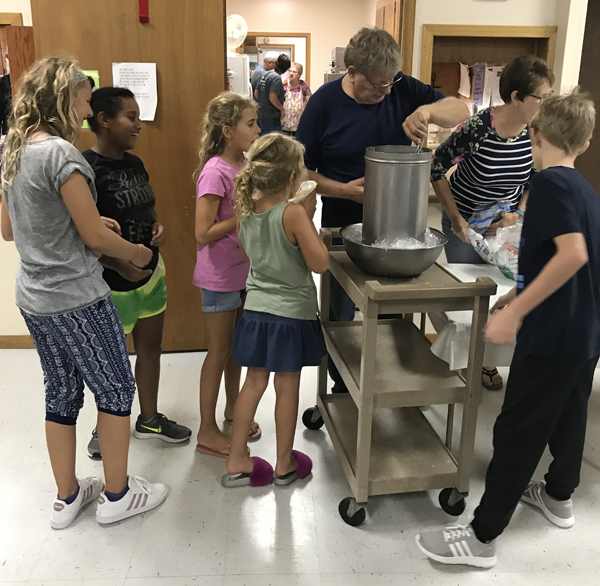 The Hillsboro Senior Center hosted an ice cream social Friday night. Young, old and in between enjoyed the bierocks, ice cream, live music and socializing. Above Darrell Driggers serves up his grandchildren some homemade ice cream.